Joint Entrance Examination (JEE) (MAIN) 2014 will be conducted by the JEE Apex Board for admission to Undergraduate Engineering Programmes in NITs, IIITs, other Centrally Funded Technical Institutions, participating State Government Institutions etc. The admission to Undergraduate Engineering Programs at NITs, IIITs, other centrally funded Technical Institutions, Institutions under several participating State Governments, and several other Institutions shall include the performance in the JEE (Main). For admission to NITs, Centrally Funded Technical Institutions (CFTIs) like IIITs etc. and other participating Institutions, the merit/rank list shall be prepared based on 40% weightage to school Boards marks in class 12th or equivalent examination and 60% weightage to JEE(Main). The weightage to school Board/Equivalent examination marks shall be considered only after normalization. Application Fee: JEE Main 2014 Application fee can be paid via: The fee may be submitted either by credit/debit card or through Demand Draft. In case of Demand Draft, the same may be made in favour of Secretary, CBSE, payable at Delhi. 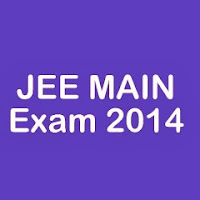 Date for Download of JEE Main 2014 Admit Card: March 1, 2014 onwards.